It’s that time of year again, comic fans! 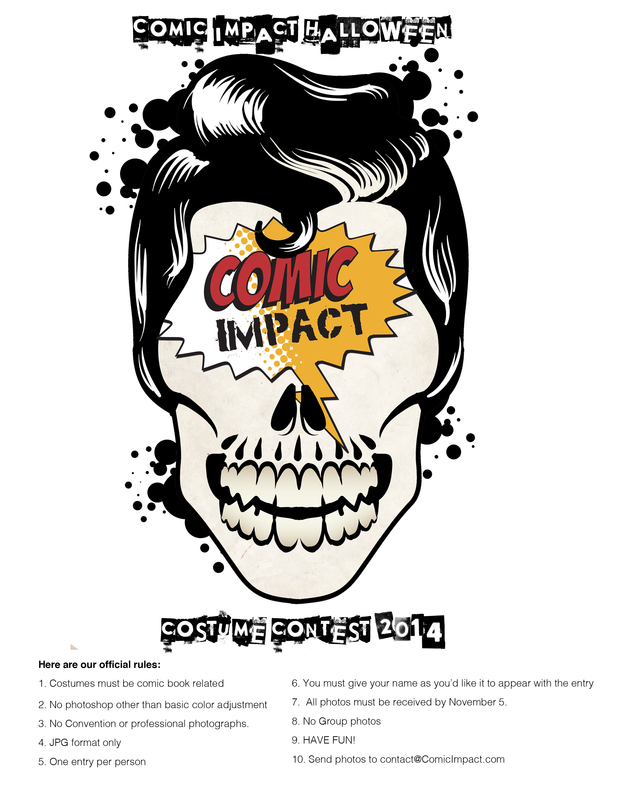 The Official 2014 Comic Impact Halloween Costume Contest is a chance for everyone to show off their passion and fandom, dressing up like comic book characters. Entering is simple and anyone can do it. All levels of costumes are welcomed; it doesn’t make any difference if they are homemade, purchased, or rented. Wear any comic book themed costume. 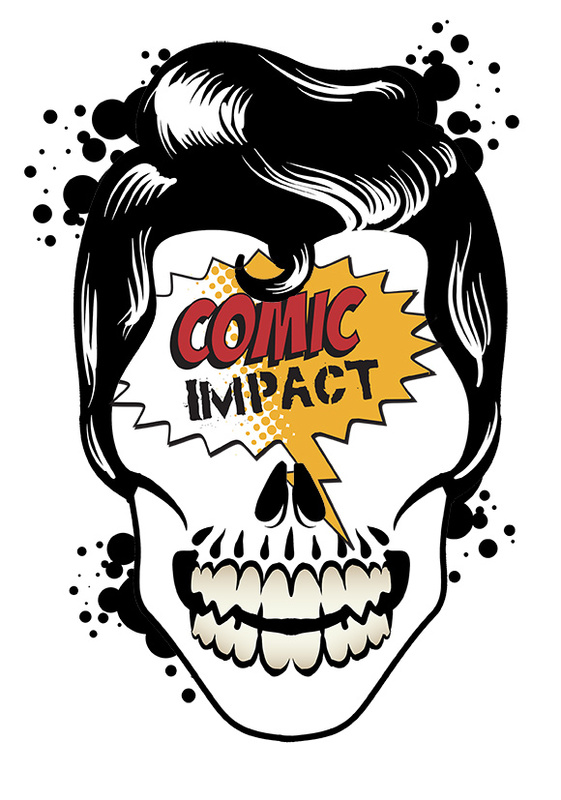 Take a picture of yourself in costume with the Comic Impact logo. Costumes must be comic book related. No photoshopped pictures, other than basic color adjustment. No convention or professional photographs. You must give your name as you would like it to appear with your entry.